Aker Arctic specialises in development, design, engineering, consulting and testing services for ice-going vessels, icebreakers, and Antarctic and Polar cruise vessels. Ships are designed, tested, and supervised, by Aker Arctic. The company also markets and sells complete ice-going vessel projects. Aker Arctic offers professional consultancy services for ice-going ship designs, using its technological and design expertise to reduce costs for shipowners and shipyards. The company also provides concept and classification designs, as well as port engineering and vessel construction support. Aker Arctic supplies a new contracting service for shipbuilders, which entails ordering and delivering special components and systems from selected partners. The International Maritime Organization’s (IMO) new code for ships operating in polar waters (Polar Code) comes into force in 2017. Ships must comply with the Polar Code’s new certificates, technical requirements and procedures before entering Polar waters. Aker Arctic provides ship design, crew training and documentation services to assist ship owners and operators in complying with the various specifications of the Polar Code. One of the code’s requirements is that all ships must have a Polar Water Operations Manual (PWOM) on-board. The company can prepare and adapt a basic manual to meet the requirements for each specific vessel. 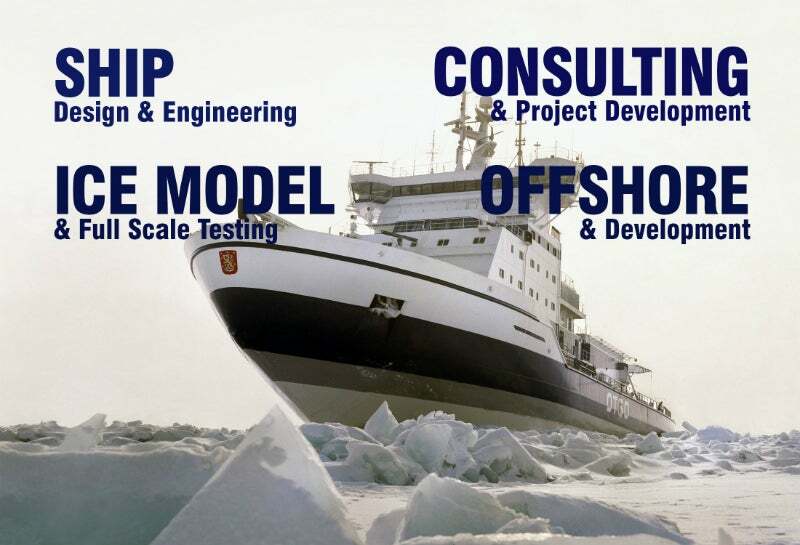 Aker Arctic offers testing services for ice and open water models, offshore structures, and design concepts, as well as evaluations and studies of environmental conditions, design criteria and transport. It provides cold environment technology, such as special ice simulators for ice-breaking and offshore operations, as well as carries out ice management, loading and off-loading for ports and rigs. Aker Arctic’s experienced personnel provide its customers with specialised knowledge, as well as innovative, cost-effective and reliable solutions for Arctic development projects. The company actively seeks new technologies and works with its partners to make them successful. Aker Arctic has offices in Finland, Canada and Russia, as well as operates a special test facility in Helsinki. The company has extensive experience and the world’s largest Arctic reference list for icebreakers and ice-going vessels, means it is uniquely placed to provide beneficial solutions. The company has provided designs for 60% of the world’s icebreakers and many Arctic or Antarctic research and cargo vessels, as well as concepts for offshore structures. It has performed scale-model and full-size tests, as well as produced studies of transporting goods from Arctic environments in various challenging locations. A naming ceremony has been held for Arctic condensate tanker Boris Sokolov at Guangzhou Shipyard International in China. The Christophe de Margerie, the world's first icebreaking LNG tanker, has successfully completed ice trials and berthed at the gas terminal at Sabetta Port in the Yamal peninsula in Russia. Hydroville is the first hydrogen-powered certified passenger shuttle propelled by a diesel engine. The ferry was developed by CMB Technologies for operations on the river Scheldt in the port of Antwerp. China began construction of a new polar research vessel and icebreaker in December 2016. The ship will be operated by the Polar Research Institute of China (PRIC). M/S Eeva VG is the first of two dual-fuelled dry cargo carriers based on the VG EcoCoaster design, jointly developed by Meriaura Group, Foreship, and Aker Arctic Technology. Aker Arctic's ship design department is constantly working on a number of active projects ranging in size and development, including minor consultancy, preliminary sketch design, full basic design projects, and shipyard support. Aker Arctic has successfully carried out testing of an autonomous ship model at the company's ice model test laboratory located in Helsinki, Finland. Aker Arctic Technology Inc and ICEYE have announced a partnership for the development and provision of ice information and related services for vessels operating in icy conditions. The icebreaking season in Finland typically ends in May. Around the same time, the cooling system in Aker Arctic's ice laboratory in Helsinki, Finland, is switched off, and the model basin is allowed to warm up for the annual summer maintenance break.